Often Thailand Border Crossing Fee is misinterpreted. Some still think this is TEA MONEY! that one needs to pay. Please note the border crossing fee has been in place for years but it was not recorded properly and therefore, the money received was not declared back to their government due to some of the dishonest officials. Previously, you are not given a receipt and this usually goes into their staff pocket (yes, the RM2-3 that you keep in your passport and hand it over to them is illegal!). 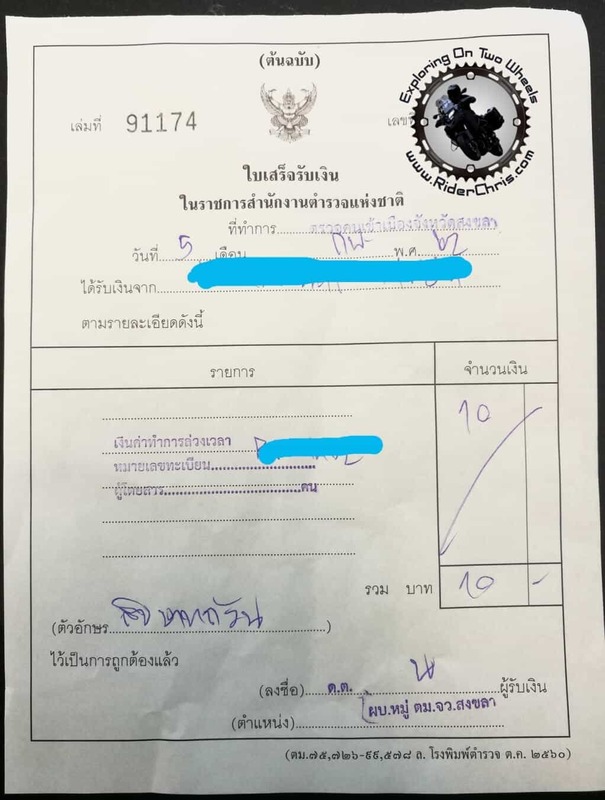 Now the rule has been improved, you will need to pay a small (Overtime) fee to get your passport stamped if you cross into Thailand using a vehicle on non-standard hours and you will get an official receipt for it. NO MORE TEA MONEY! 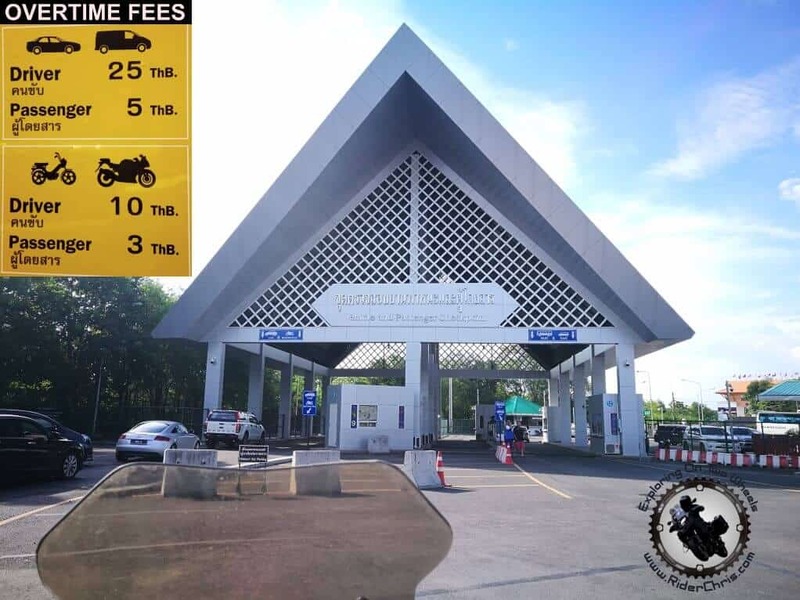 You are ONLY required to pay the Overtime fee when you cross into Thailand Between the time below (add 1 hour if you’re using Malaysian time). IMPORTANT: If you are crossing into Thai other than the time stated above, it is FREE. I’ve crossed into Thai during working hours at 1430 on a weekday using my motorcycle and I didn’t have to pay anything! Also, the fee only applies to those who are driving their vehicle into Thai. If you’re on a public bus/walk-in, you are NOT required to pay any fee regardless of the time. For Car: If you drive alone, you will need to pay THB25 and an additional THB5 per passenger. P/s: My experience was at Dannok (Sadao) border and they seem to be following the rule. However, different borders may not issue you an official receipt but hopefully, the rules will be followed accordingly and implemented on all Thai borders. What currency do they accept? To prevent (reduce) corruption and to generate income with being recorded. Previously the officers don’t give you a receipt for the fee you paid and it often goes into their pocket. With this rule being enforced, the money can now be channeled to their government and improve their border services. What are the procedures to cross into Thailand using a vehicle?